Stunning .925 Sterling Silver Etrog Box. A reserved modern creation that carries with it simple ellegance, creativity and an aristocratic impression. A sterling Esrog box in a refreshing shape and adorned with minimal floral/filigree accents. The interor of this sterling Esrog box is gilded to give the Etrog a majestic display. 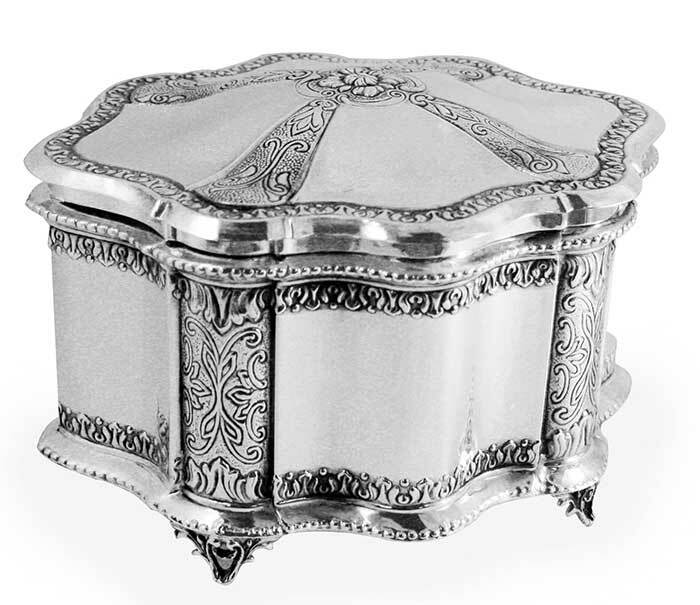 Sterling silver artifacts, as Shabbat and Holiday items including Silver Etrog boxes, have been preserved and cherished throuout Jewish history. If you wish to give or own an estate as a stunning Sterling Silver Esrog box that will be passed down from ""Dor to Dor"" (generation to generation) become an owner to one of our outstanding pieces, it will make an everlasting impression!